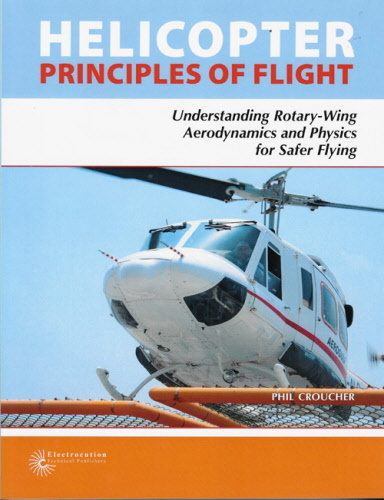 Understanding Rotary-Wing Aerodynamics and Physics for Safer Flying. The helicopter, a unique flying machine that uses two opposing forces to stay airborne, is distinctly different and sometimes more temperamental to fly than a fixed wing aircraft. While the differences may seem obvious at first, there are numerous helicopter flight scenarios where taking the seemingly logical course of corrective action will only make things worse. Knowledge is power. Arm yourself with the power of knowledge contained in the pages of Helicopter principles of flight - all based on absolute science and expert helicopter pilot experience for your own safer, smarter helicopter flying experience.